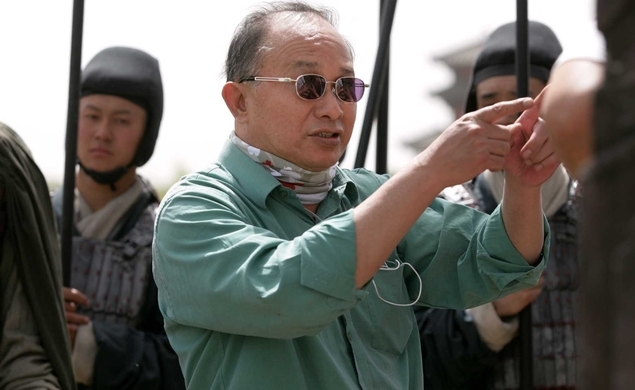 The last time we checked on our old pal John Woo, he had just directed The Crossing, an epic in his native China so massive it was separated into two distinct opuses for international audiences and dubbed “the Chinese Titanic.” The Crossing hasn’t been released here in God’s United States. Hell, it doesn’t even have a distributor yet. But that isn’t keeping Woo from plunging ahead with his next project. The Hollywood Reporter has announced that the veteran action filmmaker will direct a remake of the 1976 Japanese movie Manhunt, which was an adaptation of Juko Nishimura’s novel Kimi Yo Funnu No Kawa O Watare starring Ken Takakura. Woo is apparently a huge fan of the late Takakura, who played a man framed for a series of crimes he did not commit and must clear his name. Woo has not been terribly prolific as of late. The Crossing marked his first film since 2009’s similarly epic historical drama Red Cliff II, so it’s good to have him back in action (no pun intended). This sounds exactly like the kind of lean, intense genre piece Woo could really make his own, particularly if he finds the right actors to face off against one another in a tense battle of wills, not unlike John Travolta and Christian Slater in an earlier Woo film, Broken Arrow.